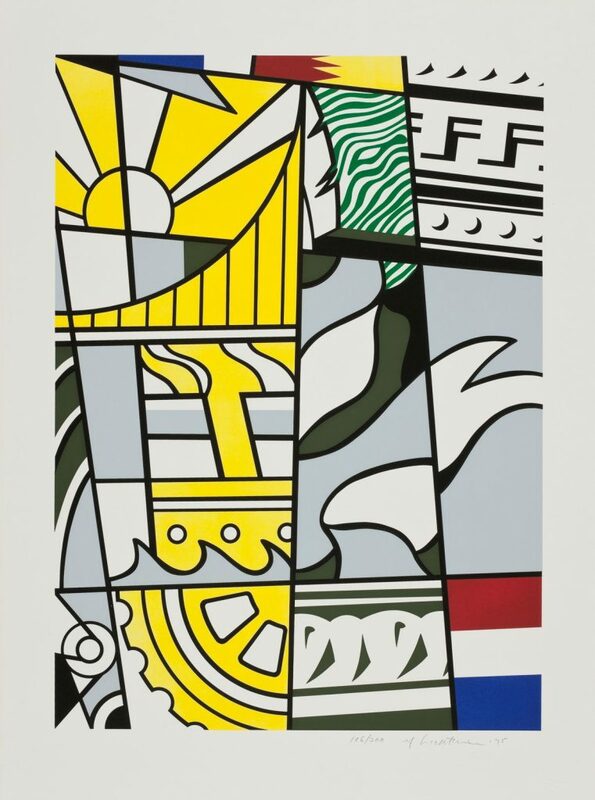 Printmaking was integral to Lichtenstein’s practice and he played an active role in the renaissance of American printmaking in the 1960s. Throughout his career he created some 350 printed works, primarily with imagery and motifs that echoed his work in painting. This printwork was part of a portfolio created as an observance of the Bicentennial of the United States (1776-1976), and in keeping with the celebratory tributes, is an eruption of colour and motion. The work is typical of Lichtenstein’s output, characterised by a highly simplified colour scheme, stylised forms and black outlines.